Get up to speed and read through our information library. Learn about beekeeping, current events, learn about tools and equipment. Do you want to know how to build a beehive? Get plans on what you need, measurement cuts, and diagrams to help you build your own beehive. Free listing for professionals and hobbyists! Add your location, tell people what you have to offer, share your hobby, help the community stay alive and thrive. 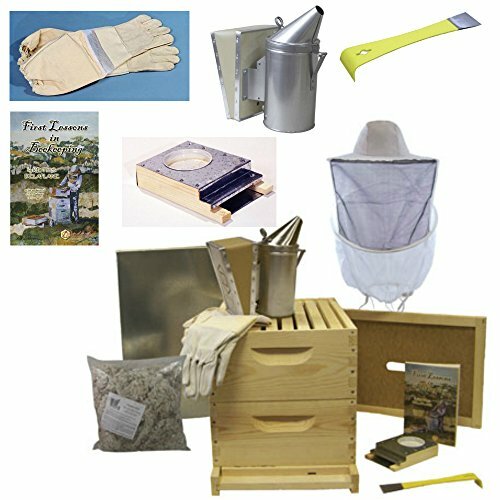 OUR 8-FRAME BEE HIVE STARTER KIT GIVES YOU EVERYTHING YOU NEED (EXCEPT THE BEES!) TO WORK LIKE THE PROS. We Love Bees & Honey! Have you heard about the amazing Beehive that you only have to turn the tap on to get your honey out of the hive? After watching the Flow Hive Video you will see just how easy it could be to harvest your honey and not even open your hive up. Twist and turn the valve and watch the freshest honey pour out and into a clean jar, or even right on a piece of warm toast. Take a moment to WATCH and your view on honey harvesting will be changed forever! Eugene, OR first community in the nation to ban use of neonicotinoid pesticides!